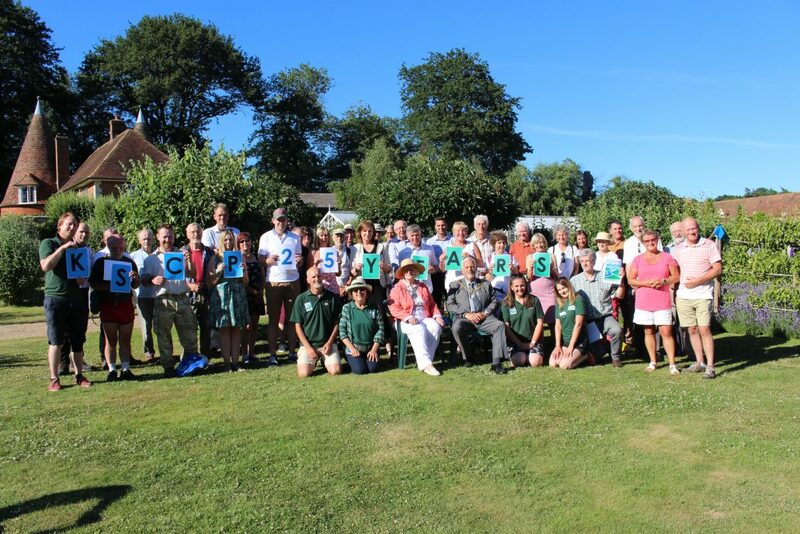 KSCP celebrated 25 years of operations last week at Godinton House. Around 50 guests attended, on a wonderfully sunny day in beautiful surroundings. Jon Shelton and Diane Comley took people on a guided walk through the estate and across the river where Nick Fysh,- local River Champion winner, passed on his passion for the river. Then Lauren Baker and Anna Bell provided guests with an introduction to river dipping and the Our Stour Aqua Bus. Banded Demoiselles were in abundance there along with shoals of chubb. Later the Lord Mayor of Canterbury and Mayor of Ashford provided KSCP volunteers with long service certificates to recognise the work that they had done. Thanks to Godinton House for hosting the event, to Southern Water for sponsoring it and to all our partners, contractors and volunteers who have made the Partnership a success over the last 25 years!